The assumption is that when you’re tired, you’re more likely to lose focus and therefore make mistakes. It is important to combat this tendency by first not blaming your lack of productivity and mistakes on fasting, and second by finding and using productivity tools and techniques. In the previous post, I mentioned 5 tips that can help you with general productivity during Ramadan. 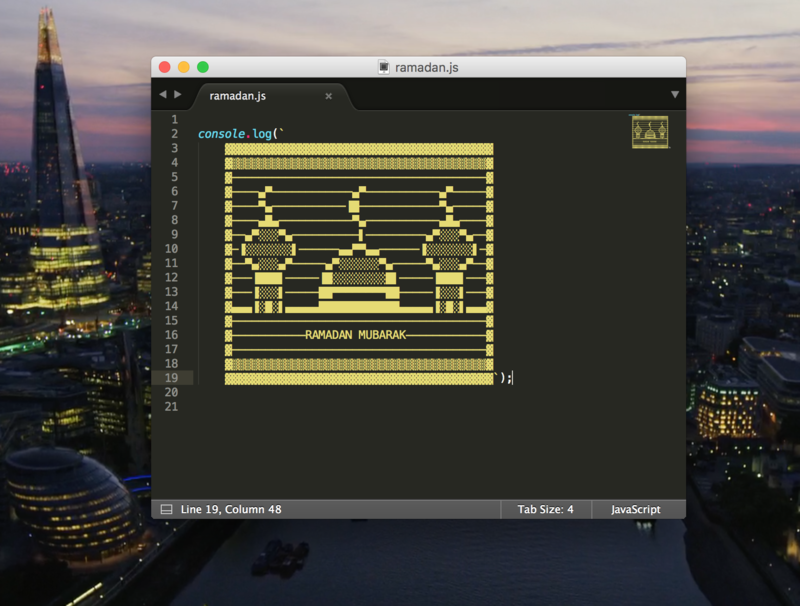 In this post, I focus on technical techniques and tools to help you be a more productive coder during Ramadan. When coding, having such safety nets is useful in general, and when you’re fasting they certainly help you catch common mistakes. We can attach a linter to a pre-commit hook. This means you won’t be able to commit code if there are any linting issues like above. Here‘s a pre-commit hook that uses eslint. 2. Focus on one thing at a time. Tests. It allows you to focus on one thing at a time. It allows you to catch errors before you commit them. I find that it is always useful to write down what you’re doing - it allows you to focus on the task at hand and not get distracted by other things. 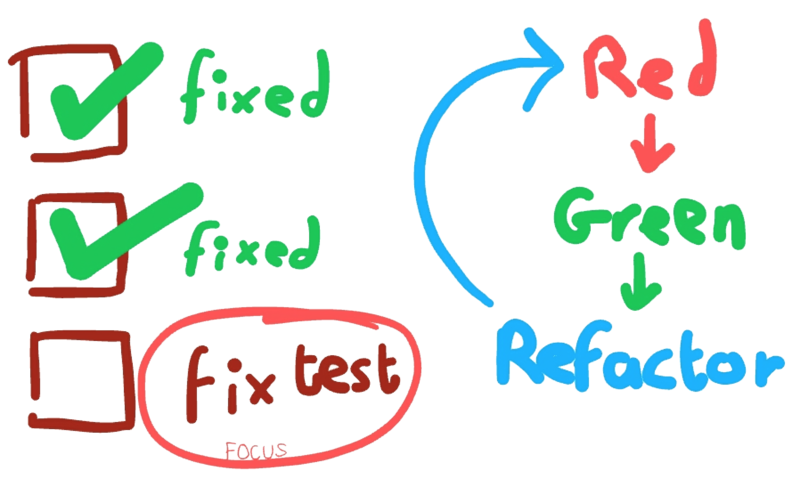 Writing tests allows you to do this, it gives you a ‘task’ that you must fix before moving on to the next thing. Now that the user flow is written, even if it is just stubs like above, you have in your head a general plan of what the feature will look like. You can then implement each step and focus on it. For example, you can implement goToMachine. For more details about PhantomFlow, check out the GitHub repo here. A good way to keep productive while fasting is to work with someone. Pair programming is an agile software development technique in which two programmers work together at one workstation. One, the driver, writes code while the other, the observer or navigator, reviews each line of code as it is typed in. The two programmers switch roles frequently. When in the driving seat, they force you to be constantly focussed. Someone else is watching you. Better not make mistakes. When in the observer seat they allow you to ‘rest’ from actual coding, but still allow you to contribute to the solution. They catch out problems in your code, and allow you to learn from someone else’s experience. Ramadan is a month of spirituality, but it is also a month of productivity. It forces you to focus - whether it is on your worship, or on your work. Finding tools and techniques to help you focus during Ramadan is not only good to get you through the month, but the things you learn can be applied throughout the year. Mixpanel is a tracking and analytics platform that allows you to track and analyse user behaviour in your apps. Mixpanel provides great libraries for Web, iOS, and Android. 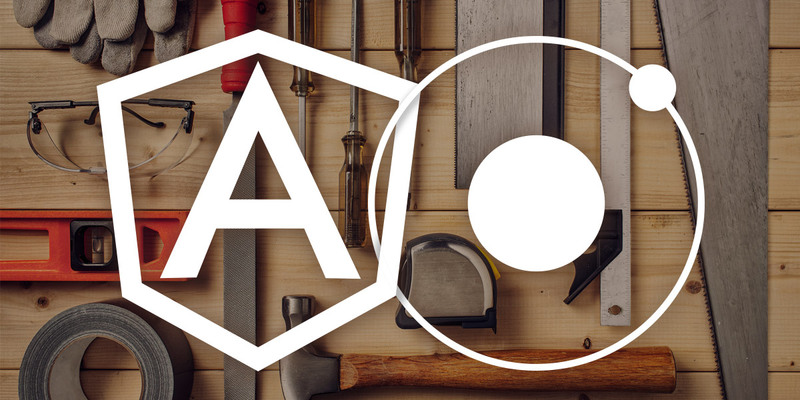 But what about cross-platform web applications that run in Cordova? This is the problem I was faced with when I tried to integrate Mixpanel analytics into my simple prayer times app. Why not use the Mixpanel JS library? The most obvious solution is to use the JS API that is provided directly from Mixpanel. However, there’s a problem with this approach. The JS API assumes always-on connectivity. However, as we know, mobile phones aren’t always online. If you want to track user behaviour while they’re on a plane or when they don’t have a connection, you can’t use the JS library. Mixpanel even say this in a blog post. Your app will depend on three libraries: the iOS, the Android, and the wrapper libraries. You’ll need to manage these dependencies properly as updates come in. This will also increase the size of your app. Other platforms will not be supported. For instance, Windows Phone will not be supported unless a wrapper for that comes out. Luckily, we don’t have to settle for a native wrapper. Mixpanel also provide a RESTful HTTP API. We can implement our own Mixpanel library that allows for offline tracking. The trick to offline event tracking is to keep a queue of things that you’re going to send to Mixpanel. We can use the http API from mixpanel to send the events. Not online? Wait in the queue! Periodically, we attempt to send 4 items in the queue. If the send succeeded, we remove those 4 items and continue with the next items in the queue. If the send failed, we keep the items in the queue and try again later. We need to persist the queue when the user switches app. This is because we don’t want to loose all the things in the queue when the user switches or even closes the app. We can use localStorage to save the data. Every time the user switches or closes the app, we save the queue onto local storage. Then when the user opens the app again we restore the queue from local storage and continue periodically processing the queue. Because we are using local storage, we are limited by the amount of data we can store. Typically, local storage has a maximum budget of about 5mb. If we use local storage for our app data, this can be a problem. We have a few options, but for maximum compatibility with all browsers, we can still store the queue in local storage but compress it first. We use a string compressor to reduce the size of the string we store in local storage. which is approximately 193 bytes. That’s a 14% reduction. We can therefore afford to store more events to be stored. Alternatively, you can use another storage method such as indexedDB or better still, use localForage which has decent fallback to localStorage. I used localStorage above because of its simple, cross-platform, synchronous API. However, if you’d like to see a working implementation of the above snippets, do have a look at the Angular service I created for my prayer times app. This can be found here. Today I migrated my blog from Wordpress to Hexo. Hexo is a statically generated blogging framework, meaning you write posts locally using Markdown. WordPress is great for managing a blog and is a fully-fledged all in one solution. It’s also the most popular blogging platform, with many sites on the web using it to manage blogs and content. So why move away from something that’s powerful and trusted? The answer for me is the combination of price and performance. Put simply, WordPress gives you loads of features and power, but at the price of performance. If you want your website and blog to scale, you’ll have to spend money. The more features and plugins you add, the slower your site will get. If you want to speed it up you’ll have to invest in some better servers. My original set up was that I’ve got a very simple blog that doesn’t use a plethora of plugins. Even with my simple site which has heavy caching on content and CDN-hosted images and resources, it is still noticably slow. It was hosted by TSO Host, which gave me all I needed and more - but the main drawback was performance. It simply wasn’t instant. Greatly simplify my blog by switching to a statically generated site. I investigated option option 1: a cloud based solution. I found a great website that describes what’s needed and how much it is. The conclusion was that it would cost 10-20 USD and a great deal of hassle setting everything up. Sure, I have experience with linux and LAMP - but even then, I’m managing my blog in my spare time and don’t want to spend my weekends fixing nginx server issues. And with that, I’m paying money to get this done. For me, the hassle was not worth it. I started to look into option 2: a statically generated blog. This means that I write my blog locally, save it, pass it through a generator with a templating engine, and publish the result. This means I can’t just blog from anywhere. I have to use a computer, save files, commit them to git, run a program and push the changes. Luckily, I’m used to this. In fact I used a Markdown plugin for WordPress that allowed me to write posts using Markdown. Because it’s statically generated, the speed was good. There is no server-side processing involved whatsoever. Because it’s statically generated, the price was good. I’m able to host my blog free on GitHub. I just need to pay for my domain. Next, I looked for what platform to use. There are loads to pick from. Luckily, hexo had an official WordPress importer. So moving my blog was a few clicks and terminal commands away. Once imported, I tweaked a few posts, copied my images, set up comments using Disqus, set up Google Analytics, etc. These are all options in a .yaml file. It’s that easy. Once I finished with my blog locally, I created a repo for it on GitHub and followed instructions to get it working with my own domain name. My experience over all was pretty sweet and straight forward. Hooray! The price saving is easy to work out. I’m saving more than £5 a month. In a later blog post, we’ll analyse performance gains. Some say you can’t be productive in Ramadan. I disagree. 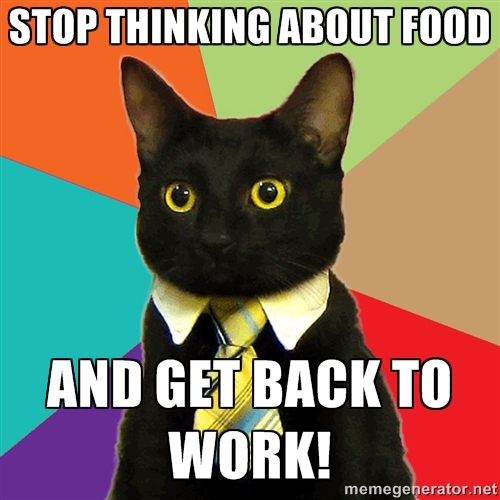 You can be more* productive while fasting, and it can help you stay focused. Here’s how I do it. *Coding while fasting made me a really fast coder. Ok that was terrible. As true as the definition above may seem, you can still be a programmer without drinking coffee. I promise. Coffee can help you concentrate, but a lot of the time it’s our perception of this than its true effects. So, to increase focus during Ramadan, I decided to slowly reduce my caffeine intake as Ramadan got closer. This means I’m less dependent on coffee to stay awake (e.g. on Monday mornings), and I can reduce the withdrawal symptoms during the month. Intermittent fasting has health benefits and immense reward. On the run up to Ramadan this gives you the extra benefit of getting your body prepared for the long fasts. Once the month starts, you’re already used to it and are able to spend your energy on other ibadaat. I know it’s hard, especially when you get those emails from people coming back from holidays with different types of sweets from all over the world. So instead, every time you think about food, think about the reward you’ll get inshaAllah. You always hear people doing silly mistakes and saying “sorry, I’m fasting today”. This will only make you believe that fasting will decrease your performance. Take a positive outlook on the fasting. If you keep telling yourself it’s affecting you negatively, it will. If you tell yourself it improves your productivity, which imho it does, it will. Productive Muslim has a lot of practical tips for making the most of Ramadan and being super productive! TLDR: I wrote a nice ionic starter app that anyone can use as a boilerplate. You can find it on GitHub. While I was writing my first Ionic app, I realised there are a lot of tools from front end web development that can be added to the project. The default starter app was a bit too simple. In the default starter app, every angular component was in its own file. Opening up controllers.js will show all the controllers of our app. What if we had many? I prefer having a file for each controller. A better starter app should have each controller, service, constant, etc. in its own file. That way, we can quickly get to the code we’re looking for later on. The suffix in the names (.ctrl.js) is optional, but allows us to distinguish between controllers/services with the same name. Now, we can run karma start to run the unit tests. We can also update our package.json to include a testing step. This is useful when using travis for continuous builds. "test": "./node_modules/karma/bin/karma start --single-run --browsers PhantomJS"
Running npm test will run the unit tests. We could create an optimized app by putting everything in one file and reducing the number of requests (even if they are all local). To do this, we use a few gulp plugins. The sourcemaps plugin. Here, we write the sourcemap to the same source file. 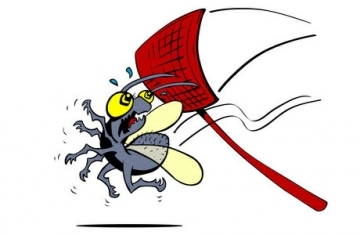 This will allow us to debug the files more naturally in chrome developer tools, even though they are uglified and concatenated into a single file. The header plugin. We use this to smartly insert the app’s version number inside the app itself. We talk about versioning later in this article. Finally, we write to the www/dist folder. Putting the output into another folder allows us to modify .gitignore so we don’t version the generated files. While we’re here, we can also modify the sass gulp task so it also goes into the www/dist folder. When switching between ‘pages’ in a SPA, new template file requests are made. If we move all these template files into a single file and pre-cache it, these requests can be saved. There’s a gulp task for that. Finally, let’s modify our ionic.project file to make use of the build steps. Great, now every time we make a change, our build will be triggered and the page will automatically refresh! Post thumbnail and image are from the Ionic project. Update: I’m happy to announce the app has been released on the Google Play Store. Check it out! Whilst I was in Belfast, I promised my sister I’d finally write an app for them to show our Mosque’s prayer times. Initially I planned to use this as a chance to learn some new tech such as native iOS and Android development, but unfortunately I kept procrastinating and didn’t manage to do it. With a couple of days remaining before leaving Belfast, I realised I had not fulfilled my promise, and decided: what’s the fastest way to write an application that works and looks nice - given my current skill set? The answer was obvious. Ionic Framework. I already have experience writing Angular apps. I could jump right in and know what I’m doing. The app I’m making is really simple, and I already have an idea of how it’ll work. So going ahead with Ionic, I set it up straight away. Wait, what are you building again? Muslims pray five times a day. The times of prayer is based on the position of the sun in the location you’re in. While you can work out the prayer times using some math (and in fact there are hundreds of apps that already do this), there is an added importance of praying at the same time as other Muslims in the area. So if everyone in the city used their own app that works it out, each person would be praying at different times! The solution was to use the prayer times at the Mosque that’s closest to you. Fortunately in Belfast there are only two mosques, and they use the same prayer timetable. 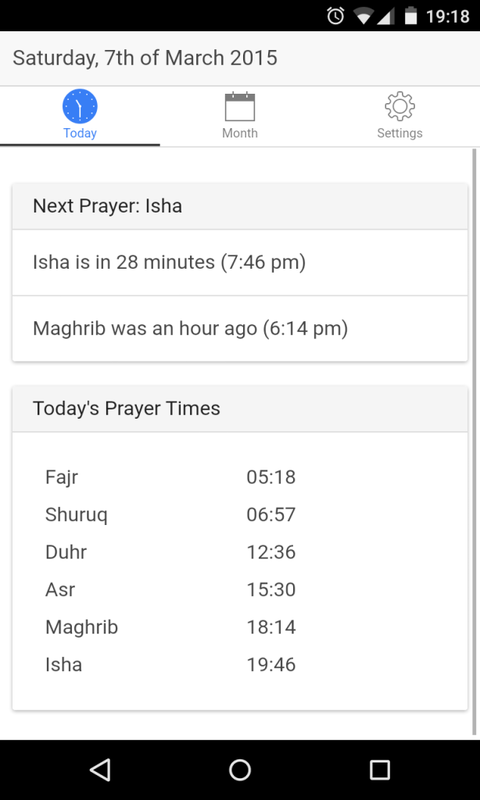 So, I decided to write an app that uses the mosque’s prayer times. And each file contained all the angular components of our app. I prefer structuring the app differently, so each service, controller, and so on is in its own file. app.js: Contains config and module definitions. constants/: Inside this folder, all our angular constants (in our case, our prayer time data) will go here. This file would go in as an angular constant, so we can inject it as a dependency wherever we need it. Finally, we define our controllers. We essentially define a controller for each tab. We therefore have three: Today, Month, and Settings. The Today controller would make use of the Ticker and PrayerTimes services to update the remaining time for the next prayer. The Month controller would simply display all the times for the current month, and the Settings controller is a work in progress, but would allow disabling and enabling app notifications (see conclusion). To save time and effort, I used lodash, moment.js, and angular-moment to help with array searching, time calculations, and displaying times as strings in the view. To do this with Ionic, you can simply type ionic add &lt;package name&gt; and Ionic will take care of it (uses bower). Overall, it was incredibly easy and fast to get the app finished. In fact, Ionic allowed me to also test the app without having to connect a device using their Ionic View service. Really, the only thing left is easy deployment / integration with Google Play Store / AppStore, though I’m not sure if that’s even possible. There are a few things left, however. I didn’t get time to set up notifications for prayers, but this is certainly feasible using the localNotification cordova plugin. Hopefully I can get this done in a future version!